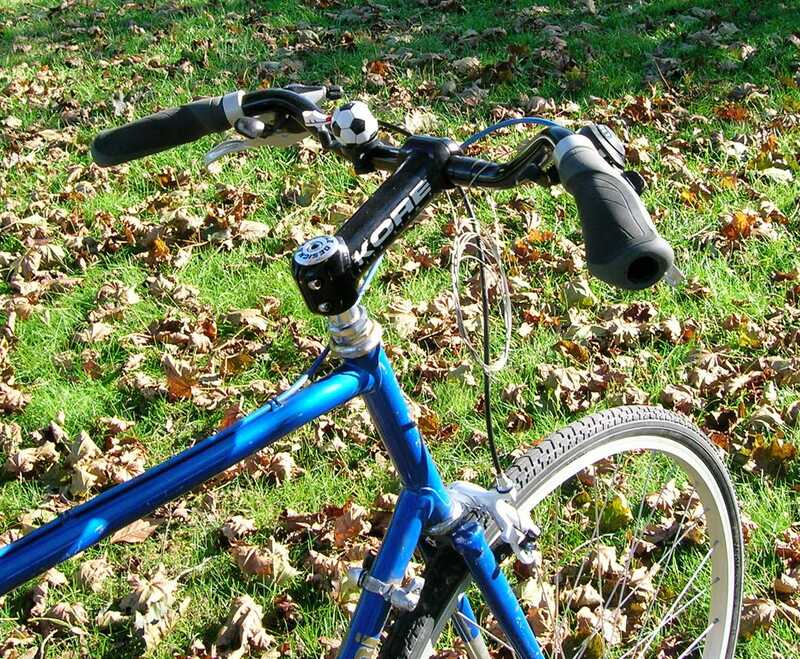 In addition to biking, you’ve probably picked up occasional references to other sports. 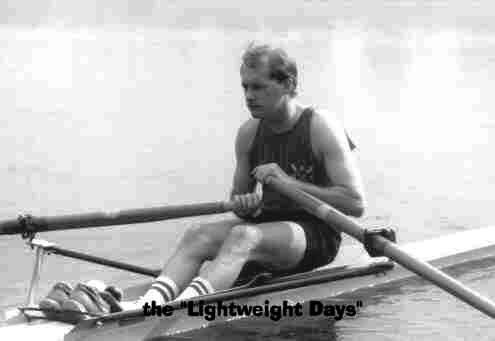 I used to be a competitive rower of some note, had a national ranking, traveled a bit, and won a race or two. I retired when it came time to raise a family. I also found that I had trouble just rowing for fun afterwards because I had trained to be so competitive all of those years, so I don’t row anymore. There used to be quite a few mentions of soccer. I love the game, and coached all three of my kids when they were younger, and ended up being a trainer on my daughter’s D1 U18 team. She ultimately blew her ACL in a skiing accident, which ended her soccer career. I was a much better trainer than I was a player, and I was a little disappointed when my youngest son decided to stop playing because I thought he had a lot of natural ability. Still, I’ll watch a match if I have the opportunity, and I can put any of those brit hooligans to shame when it comes to cheering. Finally, you’ve probably figured out we’re now a volleyball family. Both my son’s ended up tall, in fact they’re still getting tall. And both got interested in volleyball. We just finished a two year college recruiting adventure for my oldest son, where I learned the ins and outs of the process to the point where I think I could be a professional parental consultant. 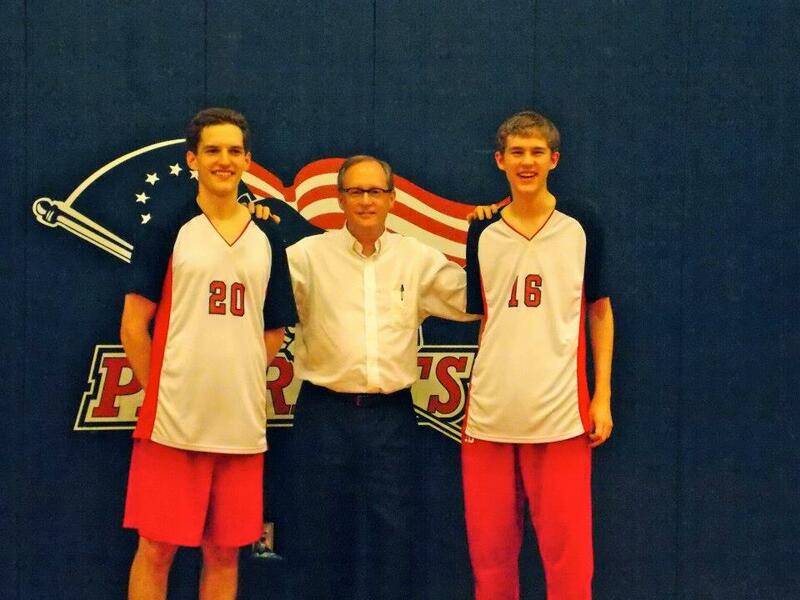 We became “one of those families” that traveled all over the country for camps and tournaments, realizing that being a good volleyball player, as well as a good student, can open a lot of doors. Which all leads into this bike. Tall is the operative word. 6’4″ and 6’5″. They long ago outgrew any of the bikes we had with the possible exception of the Cannondale, but that bike had such narrow tires that it was a pain to ride. The Sloth came through for me with this 1972 Bianchi lugged steel frame. It was dirty and chipped up, but it was big and sound. And did I mention lugged steel? It hasn’t been measured, but best guesses are a 64cm seat tube. What’s interesting is that the top tube is considerably shorter, which I find really comfortable. I can just reach the pedals, but I could probably be quite content with a pair of drop bars on this bike. The only drawback to this is that there is a fair amount of toe overlap. So this bike isn’t mine, but with Sloth’s help I built it for my sons to use. Maybe I can get them into biking a little and have one of them catch the bug, even though volleyball trainers claim the guys shouldn’t be doing anything aerobic since it’s not an aerobic sport. Bah! Frame: 1972 Bianchi lugged steel, not sure of the model. Nice chrome stays! Stem: Kore. Massive, around 140mm. Used a Dimension threadless steerer converter plug. Bars. Kalloy mid rise cross bars, black powder coated. Grips: No name ergo things that are surprisingly comfortable. Brake levers: Some Dia-compe NDX’s that Sloth gave me. Shifters: Some ratcheting Falcons also from Sloth. Bell: Super Soccer Ball dingy. Crank: Shimano touring Deore LX triple, 175mm. The gearing is 46-36-24, which I really like. Pedals: Dimension alloy platforms. Not the most comfortable, but well suited for a budget project. Chain: Ancient Shimano 8 speed found at the bottom of my parts bin. Cassette: Shimano 8 speed Megarange. 11X36. Wheels: Alex 2000 single wall. I bought these originally for the X bike because the shipping was cheap for a pair of wheels. Tires: Dont’ remember, but they’re 35cm. It could fit a pair of fenders in the frame yet. Brakes: Tektro R556’s. These are the cheap version of the famed Rivendell Big Mouth calipers. They have impressive stopping power. The white powder coating was actually less expensive. You can see that the pads are up all of the way in the slots, which makes one wonder what kind of massive clearances would a 650B conversion create. Saddle: WTB Speed V. Probably the most comfortable non-leather saddle made for touring applications. 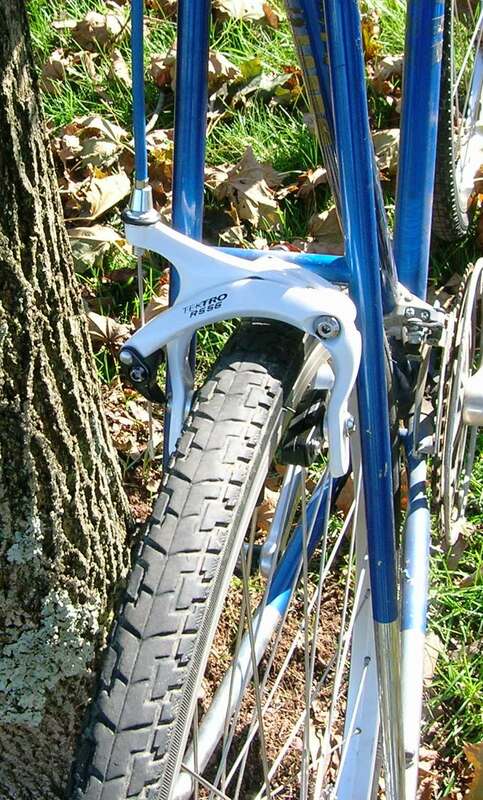 Post: I think its a Sugino with a little bit of setback. It’s a 26.8 diameter, and the original was frozen in. I had to lop off the top and then insert a saw blade into the core of the post and slowly split it lengthwise. Pedal Pushers found this replacement after letting me search the catacombs in the basement. So it all cleaned up rather nice, and now son#1 is going to use it for commuting from his house to campus for classes. And did I mention that it’s lugged steel?